The price spike started with an August fire in Chevron’s Richmond refinery. Then, two other refineries, operated by Tesoro and Exxon Mobil, went down for maintenance. Because California requires different blends of gasoline from other states, and pipelines across the Rockies are limited, gasoline can’t be shipped in from elsewhere. On Sunday, in an attempt to lower gasoline prices, Gov. Jerry Brown suspended the environmental regulations that kept California prices above those in the rest of the United States. Brown ordered California to switch to cheaper winter-blend gasoline from summer-blend gasoline, which is more expensive. The switch was accelerated from a planned date of Nov. 1. The rest of the country made the change on Sept. 15. Since President Obama’s inauguration in January 2009, base gasoline prices nationally have more than doubled, from $1.84 to $3.81. America needs more production and streamlined environmental regulations to lower prices. Approve the Keystone XL pipeline. President Obama vetoed the pipeline, which would bring oil from Canada to our refineries in the Gulf. Canada is planning a pipeline to its west coast, to ship oil to China. Mitt Romney has said he would approve the pipeline. Expand oil exploration. Allow individual states to determine their level of oil exploration. The administration is blocking the oil exploration plans of Alaska and Virginia, among others. Romney wants states to have more control. North Dakota has produced so much oil because most of the state is privately owned and property owners can lease out their land to oil developers. Development on federal land could bring in revenue for the U.S. Treasury and oil for the refineries in the Gulf. Add flexibility to boutique fuel requirements. Environmental Protection Agency regulations require 18 different blends of gasoline in different states, depending on the season and on air quality in each state. This keeps the price of gasoline high because excess supply of gasoline in one state cannot be shipped to another. Streamlining these boutique fuel requirements, as they are known, would allow the price of gasoline to decline. End the ethanol mandate. Although ethanol lost its tax subsidy at the end of 2011, the law still requires 13 billion gallons of biofuels in gasoline in 2012, rising to 15 billion in 2015 and 36 billion in 2022. Ten percent of gasoline sold is ethanol. This adds to the cost of gasoline because ethanol generates less energy than gasoline, reducing miles per gallon. With more fuel-efficient cars, America is approaching what is called the “blend wall”: unless the percentage of ethanol is raised, the country cannot physically use the required volumes of ethanol. Stop low-carbon fuel standards. California’s Low Carbon Fuel Standard requires a 10 percent decline in carbon in gasoline by 2020. Other states, such as Oregon, Washington and New Hampshire, are also considering these standards, placing pressure on the EPA to declare a national standard. 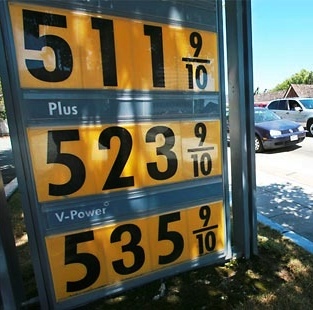 As California has seen, these standards raise the price of gasoline and should be put on hold. America’s air is constantly getting cleaner due to the replacement of older vehicles and power plants with newer ones. At a time of slow gross domestic product growth and high unemployment, it’s time to put additional costly regulations on hold. Or we’ll all end up like California. Diana Furchtgott-Roth is a columnist for the D.C. Examiner, the former chief economist at the U.S. Department of Labor, and a senior fellow at the Manhattan Institute for Policy Research.